We will be celebrating disabled women with Winvisible (Women of visible and invisible disabilities) and UKDHM (who has kindly provided the refreshments) will be joining us. 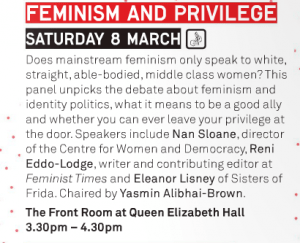 We have the pleasure of Jean Lambert MEP (London), Vivienne Hayes (Women Resource Centre), Annette Lawson (Committee on the Status of Women), Tracey Lezard (Inclusion London) among our guests. 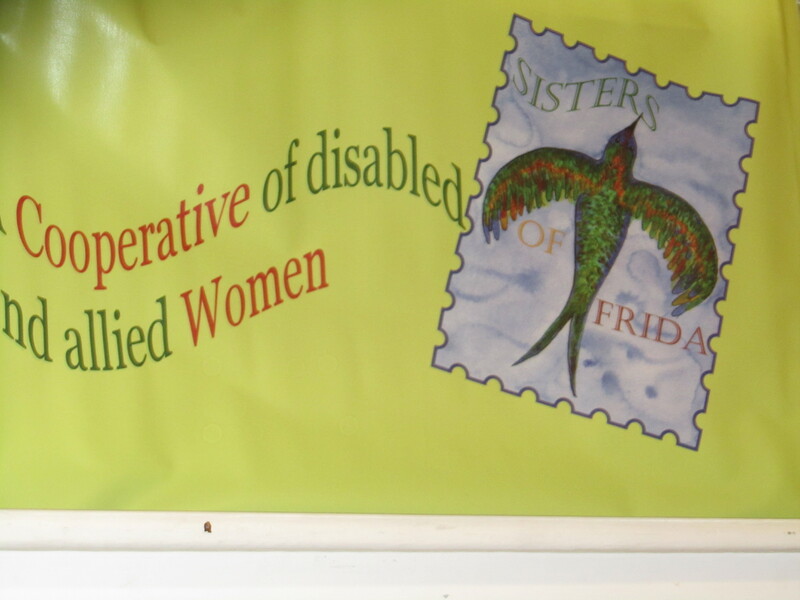 Charlotte Gage will also be speaking about the impact of the presence of Sisters of Frida at the 55th session of CEDAW (The Convention on the Elimination of All Forms of Discrimination against Women) in Geneva. 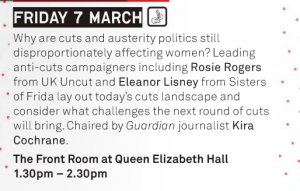 Other speakers will be Sisters of Frida – Anne Pridmore on social welfare reform, Zara Todd as a young disabled woman and Eleanor Lisney on intersectionality and disability.